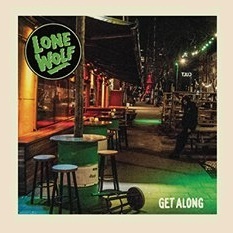 Lone Wolf - Get Along 7"
Last year ex-members of The Apers, Accelerators, The Windowsill, Giant Eagles and The Bat Bites joined forces as punk rock super group Lone Wolf. The band plays melodic punk rock with garage and indie rock influences. Think of bands such as The Thermals, The Menzingers, Superchunk and The Marked Men.